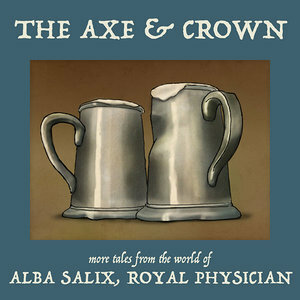 This week, it’s The Axe and Crown, the fantasy miniseries from Eli McIlveen, creator of Alba Salix, Royal Physician. Eli’s brought his tight comic timing and snappy writing to bear on a different part of the magical kingdom of Farloria. The less elegant part. The part on the bad side of town. The part that doesn’t smell so great. Imagine Carole Kane’s character from “Unbreakable Kimmy Schmidt” as told by Terry Pratchett, and you’ll have some sense of the tone of this delightful little miniseries.